Ships today if you order in the next 10 hours 52 minutes. If you wanted to get the same amount of carotenoids in your diet that is found in this supplement - you'd have to eat at least 5 or 6 servings of fruits and vegetables. Eating real food is the best way to get nourishment. But let's be honest. Many of us struggle to squeeze in that many servings of veggies and fruit on a daily basis. 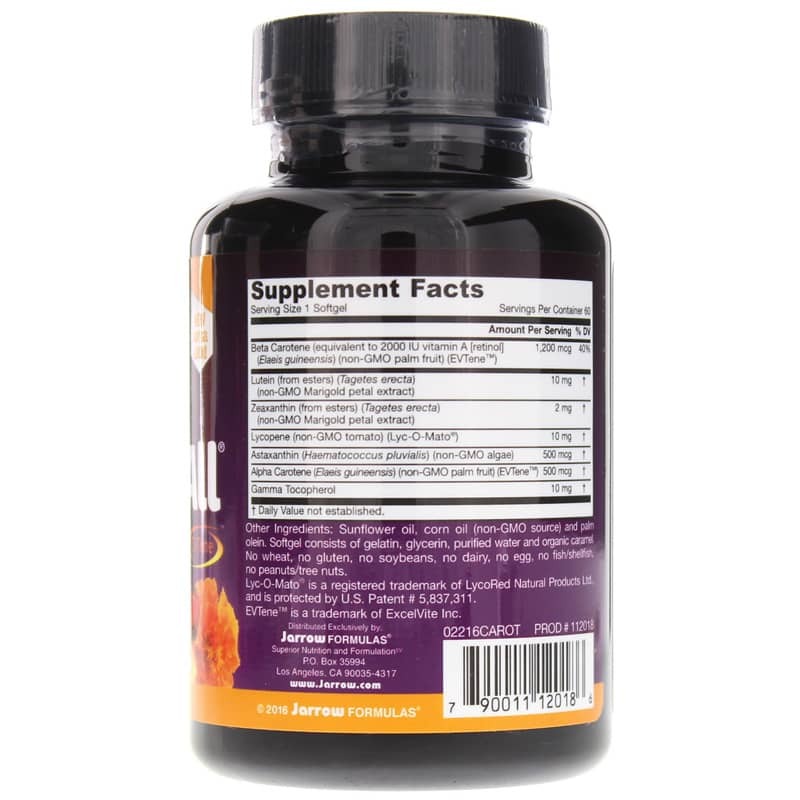 Jarrow Formulas creates a special supplement called CarotenAll that contains nutrients extracted from real food. You'll get alpha-carotene and beta-carotene from palm fruit, lycopene from non-GMO tomatoes and much more! The antioxidant benefits of the carotenoids in this supplement have the potential to support vision, prostate and cardiovascular health. 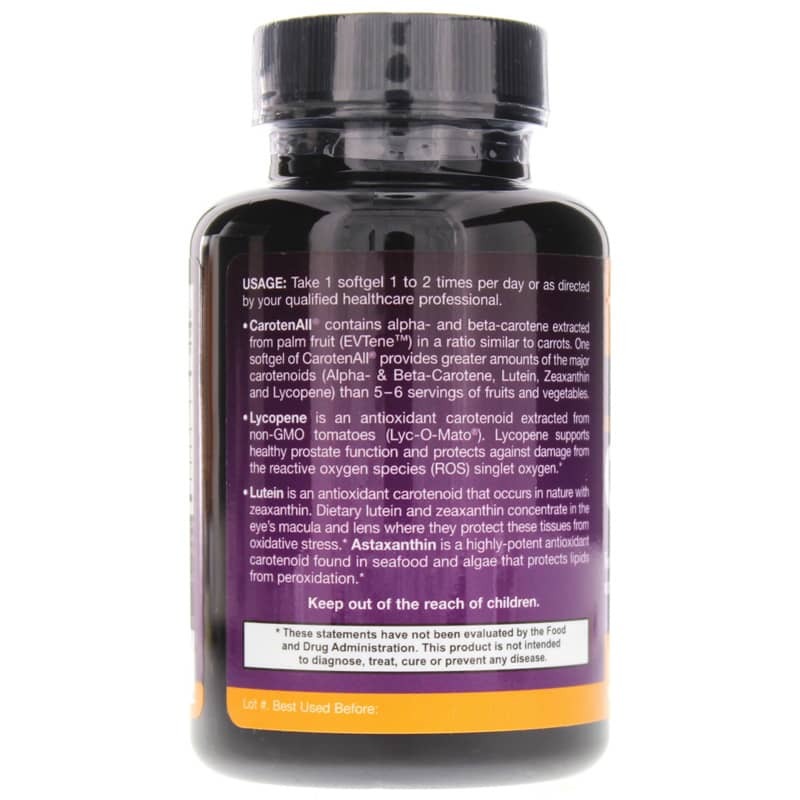 Give your body the antioxidant power of seven beneficial carotenoids. 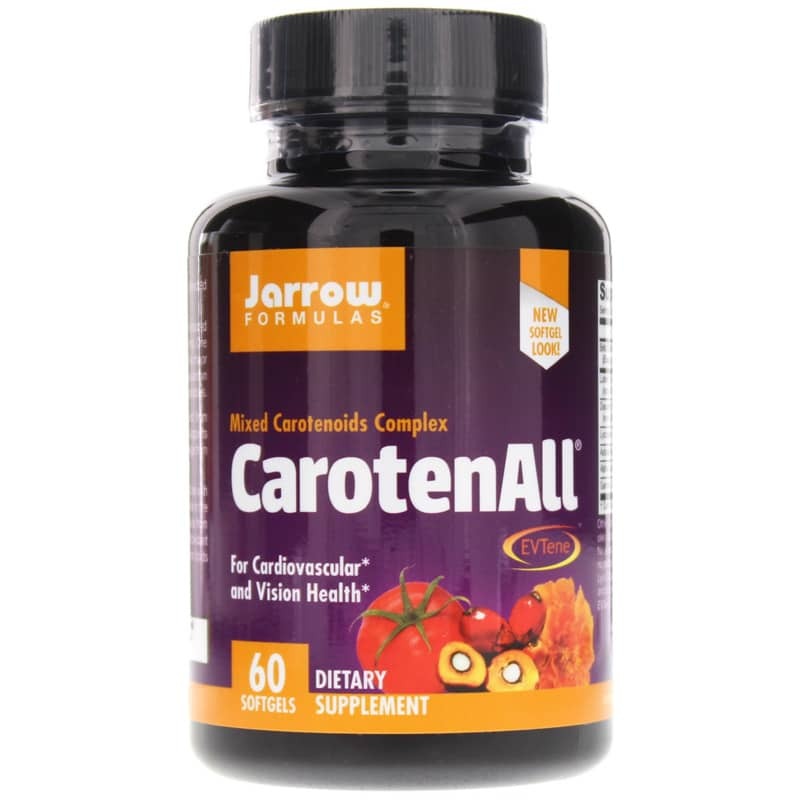 Get CarotenAll by Jarrow Formulas now! Other Ingredients: sunflower oil, corn oil (non-GMO source) and palm olein. Softgel consists of gelatin, glycerin, purified water and organic caramel. Adults: Take 1 softgel 1 to 2 times per day or as directed by your qualified healthcare consultant.